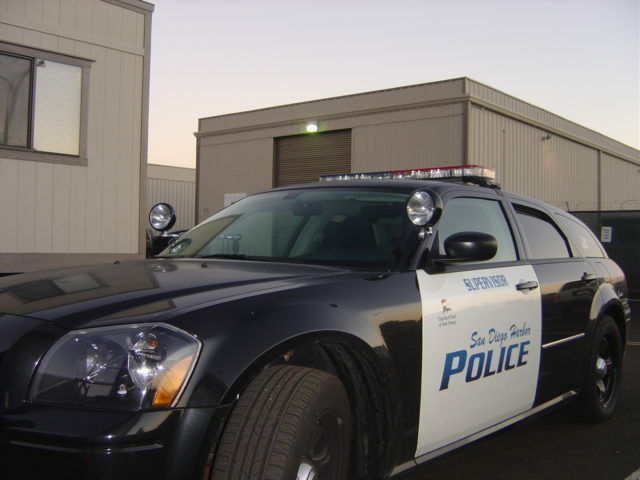 A parolee who fled a traffic stop on Shelter Island early Tuesday led officers on a pursuit into Barrio Logan, where tire-flattening spike strips forced him to a halt and a pall of police tear gas helped persuade him to surrender, authorities reported. San Diego Harbor Police personnel spotted the man, later identified as 32-year-old Andrew Dwight Sigsbee, driving erratically near America’s Cup Harbor shortly after 5:30 a.m. and tried to pull him over, according to the port law enforcement agency. The driver refused to yield, fleeing to the east past Lindbergh Field and south toward the San Diego Convention Center, officials said. 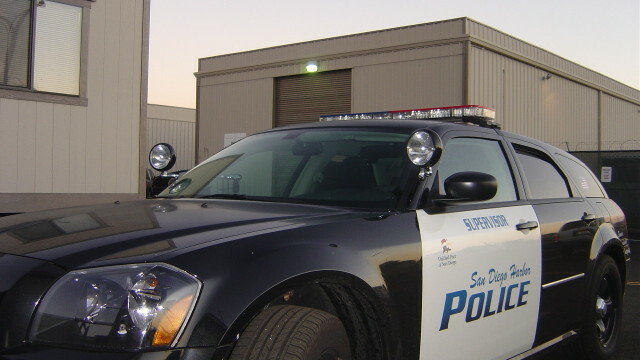 The chase, during which Sigsbee’s car collided a patrol vehicle, ended in the 1200 block of Harbor Drive, near Waterfront Park, after the sedan ran over spike strips laid out in the roadway by San Diego police. Sigsbee initially ignored officers’ commands to surrender, resulting in a brief standoff. After SDPD officers shot pepper-spray projectiles into his disabled sedan, he exited the car and surrendered. Sigsbee was arrested on suspicion of evading arrest, assault with a deadly weapon — his car — and violation of parole. He was being held at San Diego Central Jail on $50,000 bail pending arraignment, scheduled for Thursday afternoon. Traffic lanes in the area where the pursuit ended remained blocked for about an hour, authorities reported.